This paper seeks to broaden the analysis of transboundary water interaction, by examining and interpreting the influence of ‘soft’ power therein. The ‘soft’ power of persuasion is understood to be exercised through discursive and to a lesser extent ideational means, and is interpreted in terms of compliance related to distributive (conflictual) or integrative (consensual) ends (after Scott (1994)). The focus is on inter-state water conflicts in hegemonic political contexts, where, it is found, the ‘first among equals’ has a greater ability to exploit ‘soft’ power and to determine the outcome. ‘Soft’ power is also seen to influence the choices states make or avoid in their transboundary water interaction, which explains in part how treaties intending to manage conflict may in fact delay or perpetuate it. For example, ‘soft’ power can be used by the basin hegemon to frame inequitable forms of cooperation in a cooperative light, such that unfair and ultimately unsustainable transboundary arrangements are replicated by the international donor community. Non-hegemonic riparian states also employ their capacity of ‘soft’ power, though may find themselves with little choice other than to comply with the arrangement established by the basin hegemon. The findings stress the importance of analysts questioning claims of interaction promoted as ‘cooperative’, and of examining the ‘soft’ power plays that underlie all transboundary water arrangements. Exemplification is provided through transboundary river basins and aquifers around the globe. Dieperink, C. (2010). 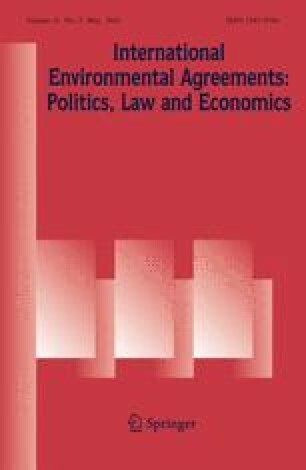 International water negotiations under asymmetry, Lessons from the Rhine chlorides dispute settlement (1931–2004), doi: 10.1007/s10784-010-9129-3. IMFA (2000). From contention to cooperation—a case study of the Middle East Multilateral Working Group on water resources. Tel Aviv, Israel: Israel Ministry of Foreign Affairs Archives, 17 April 2000. http://www.mfa.gov.il/MFA/MFAArchive. UNEP (2003). Desk study on the environment in the occupied Palestinian territories. United Nations Environment Program http://www.unep.org/GC/GC22/Document/INF-31-Study.pdf.